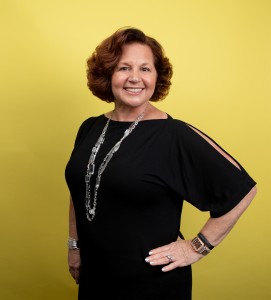 Dale Bornstein joined M Booth, an integrated communications agency specializing in public relations, digital strategy and content marketing and is headquartered in New York with a presence in Chicago, Atlanta, Miami, San Francisco and Boston, as CEO in October of 2013. Under her leadership, the agency has nearly doubled in size and been awarded every industry accolade including overall Agency of the Year and Best Place to Work twice. What is your role as a mentor? What inspires/motivates you to mentor? Mutual respect, trust and confidentiality. It’s impossible to share openly unless one feels safe – and that requires keeping everything that’s discussed confidential. It’s also so important to earn one another’s respect and trust. You need to be authentically curious. When you mentor those who are different from you, it’s a real opportunity for mutual growth and learning. And it can be one of the most enriching experiences, especially if you listen actively and ask a lot of questions. A huge part of mentoring is helping your mentee gain confidence. It’s critical to build on their strengths (not yours) and that takes real effort but can be really rewarding. A mentor should be someone who helps you grow and learn and develop professionally and personally. A sponsor should be a trusted advocate to help you seek out and when possible, secure, your next opportunity. In a best case, both should be people you admire and trust. The biggest challenge will be “next gen” talent acquisition and retention. “Talent for Tomorrow” (which is really talent for today) needs to be diverse in every sense of the word – from ethnic background to mindset to skillset. Practitioners of the future will need to be facile in both data interpretation and creative ideation/visualization; proficient in story-making and storytelling. And organizations will need to be laser focused on inclusivity in order to retain, develop and support the kind of diverse talent that will lead to enhanced creativity and innovation for our clients and the profession. I’m a weekend warrior when it comes to exercise beyond every day cardio and strength training. Saturday is made for jump board pilates, figure skating, tennis or a marathon afternoon of cardio shopping. Any or all of the above could make for a great Saturday. I can’t sing and so I would love to trade places with any of the great singers of our time. I think it would exhilarating to actually be able to carry a tune. Having just seen Hello Dolly, I think Bette and I would have a blast trading places. If you know me, you know that South Florida overlooking the beach (and on the tennis court) is my “happy place.” But I love to vacation in places where the people are friendly and I don’t have to have to “dress” or do my makeup. Throw in some great shopping and it’s nirvana. My leadership tip is… Stay true to your True North and live your values. Also, make sure that those you are leading are clear about your values and the values of the organization and what you want the organization to stand for. And if you are leading in a place where your values are compromised, consider a new adventure. My mentorship tip is… Listen actively and be present. Every mentor is… Hopefully someone else’s mentee. Lesson that took you the longest to learn… What a difference a day makes! It’s simple but true. The long game requires perspective. You need to be able to celebrate the “ups” and weather the “downs” – because business can be a veritable rollercoaster ride. So buckle up and enjoy it. Habits in your daily routine that strengthen your leadership skills… I know this may sound cliché, but I need sleep and exercise and clean eating to be a great leader. So I try to get at least seven hours sleep every night and then I do my best to eat healthy and exercise in some way every day. I subscribe to the Corporate Athlete philosophy — do everything you can to bring your “best energy” to the workplace every day. And, being “hangry” is not an option. I carry healthy snacks with me always. In fact, for years people have teased me about my “Mary Poppins lunch bag.” That bag has clocked some serious miles, but I can’t lead or mentor on an “empty tank” or an empty (calorie) stomach.